Tino was one of the founders of a Bright Hope World funded dairy farm in Bolivia and for many years was co-manager of the farm project. The farm is now fully managed by Jaime, who was trained in farming methods in New Zealand. 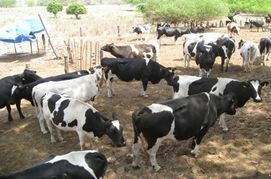 The farm sells milk locally for a good price and also produces ice-cream which is sold in a small shop in the town of Camiri. There are currently around 35 cows. 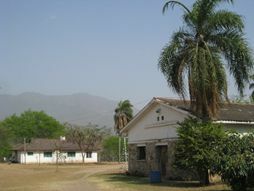 The farm project supports a Bible Institute and its students who come from all over Bolivia. Tino and Nelda are now fully involved in the Bible Institute, as managers of the Institute, teaching some of the modules and mentoring the students. Tino is a mature Christian who is valued for his counsel and has developed considerable influence in the area. Tino was also one of the visionaries of the new Trade School project (BLV03) which Bright Hope World helped to fund. The Trade School is set up to train Bolivians to become auto-electricians, giving previous Bible Institute students the ability and skills to be self-funding as they live and church plant in remote towns and villages. Tino travels to many villages in the wider area of southern Bolivia to evangelise, facilitate church plants, and to encourage Christians in these areas. 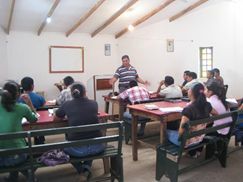 The Bible Institute students accompany him on these trips as part of their training. Tino was already doing this work before Bright Hope World became involved in the partnership in 2005. The primary beneficiaries of this partnership are Tino and Nelda in terms of the financial support provided for them but, indirectly, both current and former Bible Institute students from all over Bolivia also benefit. Tino has a great passion for people to hear the gospel and respond, and also to have Christians trained up and encouraged to share their faith with others. Tino is married to Nelda and their children are now all living away from home. They are members of the Upper Room Church in Camiri, a newly planted church which they helped to start in 2011. Tino works with Mark Mattix, a Bright Hope World contact and American missionary. He also collaborates with Octavio, another Bright Hope World partner. The vision of this partnership is to see young Bolivians equipped to serve God throughout Bolivia. The annual strategy is to use the Bible Institute as a tool to train and equip the Bolivians to evangelise and church plant. The Bright Hope World funded dairy farm project is crucial here as it provides resources for the Bible Institute to function and the Trade School provides the skills to enable students to become self-supporting missionaries.